Minas and redondos accompany the dances; in line or circle form, in the case of the minas, or, in the case of the redondos, performed by a couple, with members of the audience stepping in to take the place of the male or female in alternation. While indigenous Venezuelans typically use a single maraca to accompany their songs, popular music normally makes use of a pair, each one with its own pitch. Venezuelan maracas are unlike the kind often used in the U.S., which derive from Cuba and Puerto Rico; they are smaller, with a softer sound. While a typical rhythmic triplet for Caribbean maracas places the accent at the end—one/two/THREE—, the counterpart for Venezuelan maracas inverts the accent—ONE/two/three. Venezuela is known for its own salsa, merengue and other imported styles, as well as the distinct joropo and llanero music. 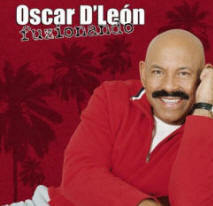 Salsa, while originally imported, has produced the global superstar, Oscar D'León. The music varies from a region to another. The joropo is a form of traditional Venezuelan music. It is performed in the whole country and it possesses its own attributes according to the region: joropo llanero, power station and oriental. The meringue is found in Caracas, Lara and Cumaná. The central fulía is in Miranda, Federal District and Aragua; the oriental fulía in Anzoátegui, Monagas, New Esparta and Sucre. The polka is in Lara, Barinas, Sucre, Trujillo, Táchira, Hurry and Bolivar. The bambuco is in Táchira, Merida, Trujillo, Lara, Zulia, Federal District and Vargas. The furro bagpipe and tambora are in the Zulia. The calipso is in Bolivar. And the tamunangue is in Lara. On the central coast, the joropo ensemble is smaller, reduced to a harp or bandola and a singer who plays maracas. The music, incorporating some of the African tradition of the area, differs from the plains style in that verses are shorter and more repetitive with more improvisation. In the state of Lara, the golpe –a different kind of joropo— is performed with an instrumentation that includes a cinco and a tambora; or a violin or guitar and a large drum. Merengue is originally from the Dominican Republic, and Venezuela heartily supports local Latin pop acts like Billo's Caracas Boys, Porfi Jiménez Orchestra and Los Melódicos. The Venezuelan merengue is different from its more famous counterpart, The Venezuelan calypso, which reflects the closeness of Trinidad and Tobago and, beyond them, the other Caribbean islands. Some Venezuelan Pop Musicians have gained popularity in other Latin American countries besides Venezuela. Such is the case of Ricardo Montaner (very popular in Chile), José Luis Rodríguez "El Puma" and Ilan Chester, to mention a few. The vanguard of fusion artists combine rumba, Latin jazz, joropo, salsa and other forms of music from Latin America. 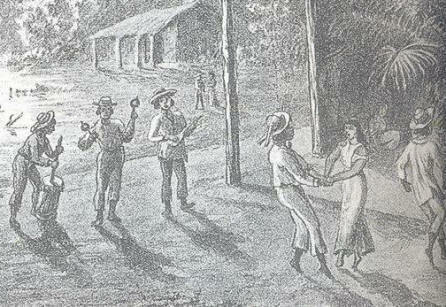 Originally a rural form of the llanos, or plains, llanera spread to musically creative artists like Juan Vicente Torrealba and Ignacio Figueredo, who helped to popularize music through the country , leading to a slick modern form of pop-llanera that has earned scorn from purists and much of the younger Venezuelan listeners, who perceive it as stale and watered-down. Some singers, like Simón Díaz and Reynaldo Armas, have maintained a huge following over the years. In a similar vein, there is also is neo-folklore, which takes traditional music and arranges it in an electronic style, for electronic instruments. Indigenous Musical styles are sort of a crucible of Venezuelan cultural inheritances, most exemplified by groups like Un Solo Pueblo and Serenata Guayanesa. The national musical instrument is the cuatro. The typical or representative musical styles are mainly from the llanos area and its surroundings, such as Alma Llanera (by Pedro Elias Gutierrez and Rafael Bolivar), Florentino y el Diablo (by Alberto Arvelo Torrealba), Concierto en la llanura by Juan Vicente Torrealba and Caballo Viejo (by Simón Díaz). Other forms of Venezuelan folk music have achieved little or no popular acclaim, but are extensively recorded and researched due to the work of Caracas-based Fundación Bigott. African-derived percussion (including multiple rhythms, such as sangeo, Fulía and parranda) is perhaps the most well-documented subject, and has produced groups like Un Solo Pueblo, Huracán de Fuego and Grupo Madera. Venezuelan calypso music, imported from Trinidad in the 1880s by immigrants arriving during a gold rush, has its own distinctive rhythms and lyrical style. Calypso de El Callao in Venezuela, the music has had major stars, most famously including VH. The Gaita (music style) is also a popular style, played generally during Christmas, and is typical of the Zulian region. Pop music and rock are very popular too, and several bands have had their rise and fall in the music scene. Venezuelan rock has strong influences from Argentine bands, so their style may be somewhat placed in the same category. However, most bands incorporate caribbean rhythms, thus giving them unique characteristics. Some well known bands are Desorden Público, Caramelos de Cianuro, Los Amigos Invisibles, and the now extinct Sentimiento Muerto. Jazz, house and avant-garde have also been popular, especially in Caracas. There have also been Venezuelan Classical composers. Among these, there are Moisés Moleiro, Teresa Carreño (who was also a world-renowned pianist), Eduardo Marturet (who is primarily an international conductor), Antonio Estévez, Federico Ruiz (who also works often with other genres), and Vicente Emilio Sojo (particularly known for his contributions to Venezuelan musicology and music education). The torch of Moleiro and Sojo was picked up by several of their students, of which Roberto Ruscitti stands out. Several of his compositions can be heard at his website. Other famous musicians include Edgar Ojeda, Adrenalina Caribe, Serenata Guayanesa and Cheo Hurtado, as well as the group Guaco. Aldemaro Romero is a prolific Venezuelan composer; he has created a wide range of music, such as Caribbean, jazz, Venezuelan waltzes, and innovative symphonic works of great, which met with an astounding creativity and style the challenge to modernize Venezuelan folk music. As in the U.S., the music of Christmas in Venezuela is not necessarily religious, but may be simply celebratory of the holiday and the successful completion of the year. Christmas carols are called aguinaldos, and are commonly sung door-to-door in parrandas, much as in Puerto Rico. The revelers expect to be received with drinks or food, such as hallacas, a holiday specialty wrapped in a banana leaf. Gaita is a music genre originated from the region of el Zulia and is very popular during the Christmas season. It has grown to be a national representation of the Venezuelan Christmas. Internationally famous for his salsa music. In Spanish, he is known as El Sonero del Mundo ("the Salsa Singer of the World") or as El Sonero Mayor ("the Great Salsa Singer"). His most famous song is perhaps "Llorarás," which he recorded in 1975 with his group La Dimensión Latina. The third and youngest child of Patricia Hickey, a former opera singer and voice coach of Irish American extraction, and Alfred Roy Carey (formerly Nuñez), an aeronautical engineer of Afro-Venezuelan heritage. In 2000 the World Music Awards named Carey the best-selling female artist of all time, and she has recorded the most U.S. number-one singles for a female artist. In addition to her commercial accomplishments, she is well-known for her melismatic singing voice, vocal range, power, and technical ability.